A portable angler cooler apparatus includes two skis removably connected to a bottom-most circumferential edge of two wheels such that the wheels may remain elevated above a ground surface during transportation. A handle is pivotally coupled to a proximal end of the cooler such that the skis are removably connected to the handle after the skis are detached from the wheels. Each of the skis may have a pair of spring-loaded clips mated to opposed longitudinal edges of each wheel respectively so as to be selectively biased between tensioned and equilibrium positions when engaged and disengaged from each of the wheels and the handle respectively. The skis can go over sand and tall grass. 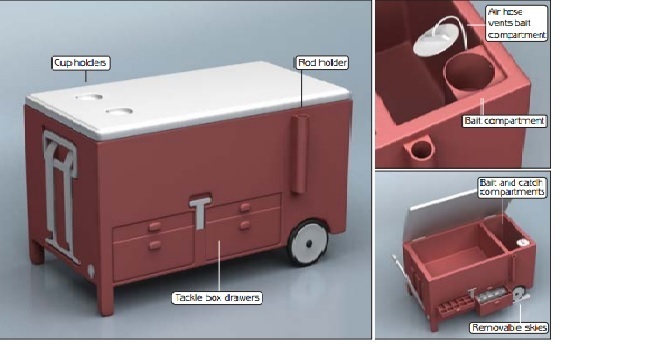 A T-bar locks selected ones of the compartments at a closed position to prohibit premature disengagement from the cooler during transport. Looking for an outright sale: $50,000 negotiable. The marketing potential is excellent; I have taken this to several stores who sell this type of item, and several they said that they would definitely want to have it in stock to sell to customers. 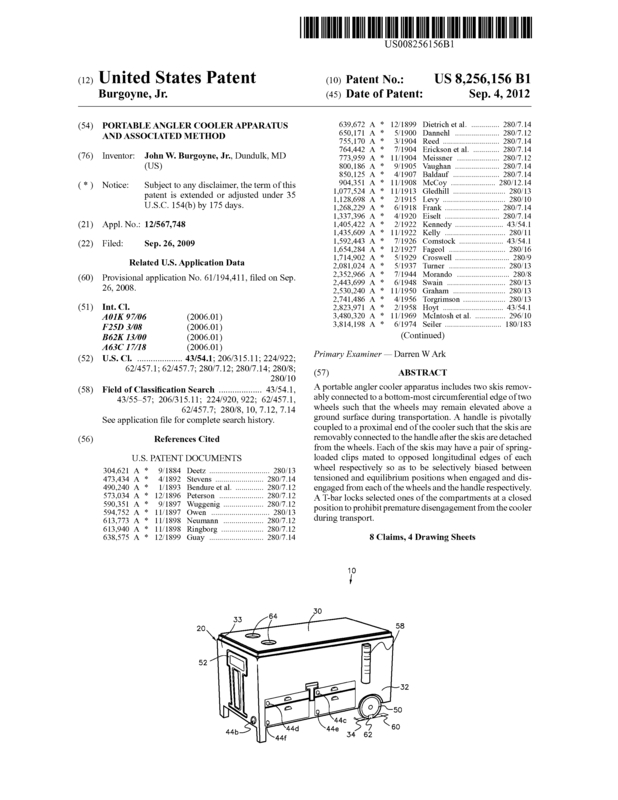 Page created at 2019-04-25 10:33:13, Patent Auction Time.